Early detection is the best deterrent to skin cancer and other serious and long-lasting conditions. Don’t wait to get advice early from a medical dermatologist Dr. Bard. Definitely see your dermatologist NYC when the skin discoloration looks like a new mole, you see changes happening in a mole you currently have. Make your appointment today to experience highly personalized and comprehensive dermatology care. When your skin changes color either darker or lighter, or to some other shade of pink, blue or red it’s not necessarily a sign of a medical condition that you need to get treated. Patchy skin discoloration, on the other hand, can signal other, more serious problems. The best way to ensure that you’re taking appropriate steps when you see skin color changes is to make an appointment with your Manhattan dermatologists for a diagnosis. 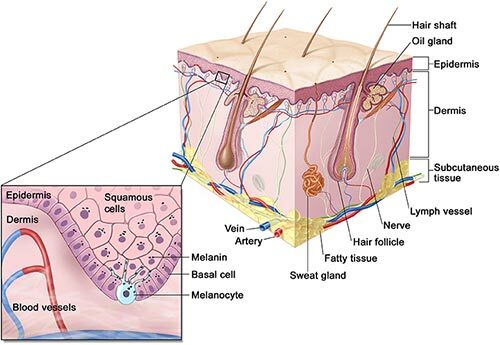 Your skin cells contain melanocytes, which in turn produce melanin, the substance that determines your skin color. When you have too much melanin in your skin cells, you are said to have hyperpigmented skin. Too little melanin produces hypopigmented skin. When you have pale skin patches, your cells are not producing sufficient melanin and your melanocytes are overactive. Underactive melanocytes produce darker patches. Another common discoloration is called bronzing, and this isn’t the kind of bronzing you get from tanning. Instead, the slight darkening of your skin starts in places like your elbows, knees or knuckles and spreads. Bronzing also can happen on the palms of your hands or heels of your feet, and it can vary in darkness levels. Fungal infections may lead to either lighter or darker patches on your skin. For example, ringworm may lead to dark lesions while tinea versicolor, created by microscopic bacteria, may result in lighter patches. Burns most decidedly change the color of your skin. If you’ve ever had a sunburn, you know that your skin can turn a variety of colors, from red to white when it blisters. When your skin heals from burns, it very often never returns to its original color. Applying sunscreen haphazardly also can lead to varying shades of skin color. Also, various kinds of medications react adversely when you go out in the sun and can lead to reactions that show up as skin discoloration. Pregnancy can cause skin discoloration because of the hormonal changes you’re undergoing. A skin discoloration condition called melasma, colloquially known as the mask of pregnancy happens when dark splotches appear on your face when you’re pregnant. Birthmarks are apparent on newborns and may present as port wine stains, moles or Mongolian spots, bluish patches on the backs of primarily Asian babies. Skin cancer changes the color of your skin, depending on the type and location of the cancer. The lesions and the treatment alike can leave lasting skin discoloration changes. It’s never too early to check in with your NYC dermatologist. Early detection is the best deterrent to skin cancer and other serious and long-lasting conditions that carry with them even greater dangers than just discoloration. Even if you’re just concerned about appearances, don’t wait to get advice early from a medical skin doctor. A biopsy requires that your skin doctor scrape off a piece of the discolored skin to send it to a lab for testing. Blood tests can confirm or negate other underlying conditions, such as iron build-up or high levels of hormones. A Wood’s lamp exam can help your doctor determine whether you have a fungal infection that’s causing the discoloration. A Wood’s lamp is a hand-held device that causes pigmentation to turn a different shade under the special light if it’s infected. Do you have any questions about Skin Discoloration? Would you like to schedule an appointment with an internationally recognized, award winning dermatologist Dr. Susan Bard of Manhattan Dermatology? Please contact our Midtown or Upper East Side NYC clinic for consultation with cosmetic and laser dermatologists in NYC.